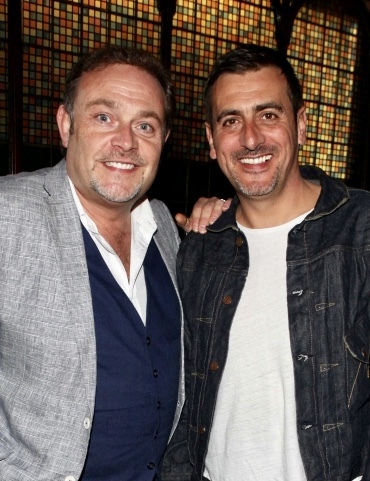 Cold Feet meets the Street as Salford Lads Club host an Evening with John Thomson & Chris Gascoyne. Following the SOLD OUT in-conversation event with Hooky & Mani in September, Salford Lads Club will be hosting another to raise funds for projects for its young members. Actors John Thomson and Chris Gascoyne will be holding court on stage at the iconic venue on Saturday 23 February. They both live here in Manchester and have been friends for many years - their paths first crossing when they worked on New Street Law together back in 2006/7. After John began his career on Spitting Image he carried on working with his good friend, Steve Coogan in the Paul & Pauline Calf Diaries. He has appeared in some of Britain's most popular TV shows including The Fast Show and Cold Feet. Chris is a star of TV and theatre who is best known for his role Peter Barlow - one of the central Coronation Street characters and longest serving actors in the ITV soap. He made his first appearance in Corry on the 40th anniversary live episode in 2000. As part of the in-conversation event at Salford Lads Club, there will be a Q&A, to allow members of the audience to ask John and Chris questions, so it promises to be a thoroughly entertaining evening. 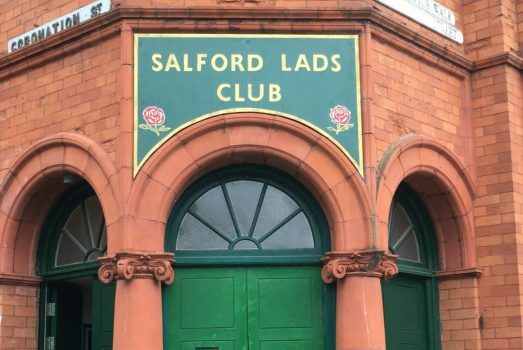 Salford Lads Club is run by a team of volunteers, who will be happy to show everyone around and talk about the famous club's history. This event will also provide an ideal opportunity for the audience to have a look at the incredible Wall of Names and The Smiths Room. Salford Lads Club merchandise ~ including the limited edition latest t-shirt designs ~ will be on sale throughout the evening. All profits from the night will be going to Salford Lads' Club and the kids/members' activities and events.